Since 2012, Sikh communities across the country, together with the World Sikh Organization of Canada, have been supporting the One Billion Rising campaign, a worldwide call to action that gets its name from the United Nations statistic that at least one in three women will be beaten, abused or raped. “I’m a woman . . . that could be me, that could be someone I know. It’s such a big number, it’s so common, it’s so close . 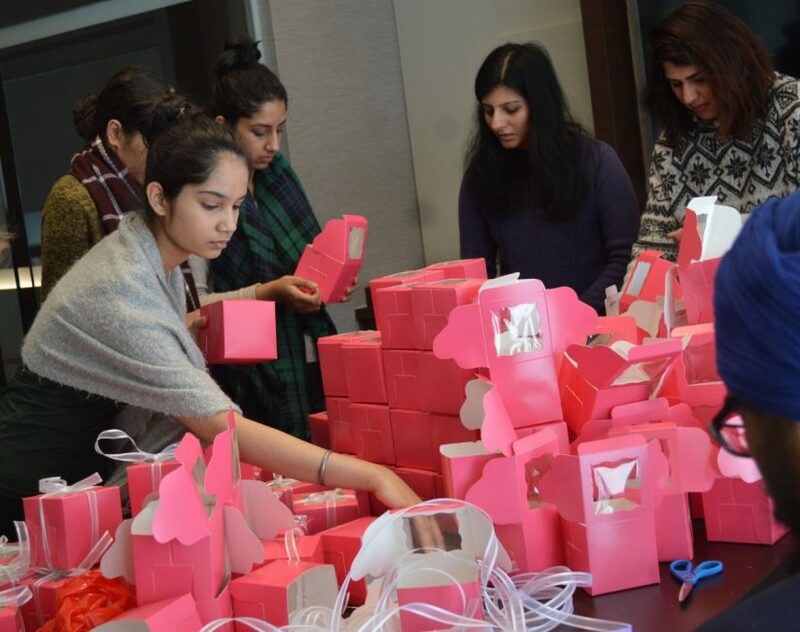 . . ,” said Gurleen Sidhu, who helped organize the care package initiative in Brampton. Since domestic violence is something that people don’t often talk about, she said, she realizes it could be happening to those close to her without her knowing. Sharanjeet Kaur, who also helped organize, made sure to get both her son and daughter involved, to talk to them about domestic violence. A staff member at one shelter said abusive situations can be isolating, and it’s important for women to know that help is there for them. That, and it’s nice to be remembered on Valentine’s Day, she added.